Here we go again. After spending the past 12 months combing South Jersey for the finest food and drinks, remarkable retail shops, soothing spas and more we are able to present our annual Best of the Best picks for 2016. 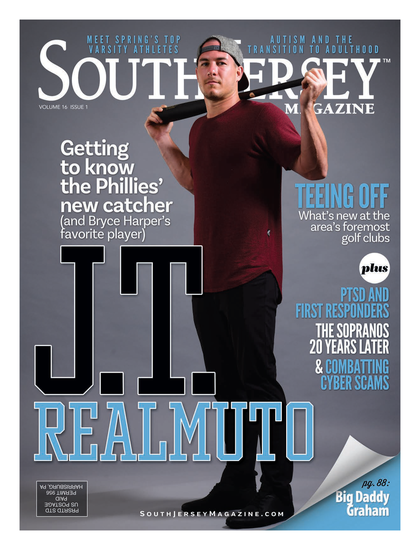 Each year we willingly take on this task in hopes that we’ll find new discoveries (we did) as well as reconnect with familiar favorites (ditto), all in an effort to showcase the many wonderful things South Jersey has to offer. We’ve also let our readers’ voices be heard by including their picks in several categories. From sinfully satisfying stuffed French toast to that salon that makes us look like a million bucks, we covered lots of ground but the hard work has paid off with this ultimate list of true winners. The unassuming Marlton spot offers up traditional Mexican food, along with a few Tex-Mex dishes that satisfy any craving, but their Joe’s Ulti-mate Nachos reign as our favorite. One order comes with homemade crispy tortilla chips loaded with no shortage of melted cheese, refried beans, lettuce, olives, scallions, tomatoes, heaping spoonfuls of sour cream and jalapeños for an added kick. The topic of cheesesteaks almost always sparks a debate and the Brawler cheesesteak from Rock- hill comes ready to fight. Loaded up with meat, cheddar beer sauce, caramelized onions and gravy, this contender knocks out the competition and has us throw- ing in the towel when we’re done. Maybe you’ve heard that eating a lot of red meat in your diet isn’t the best, but you refuse to give up on cheeseburgers. Luckily you don’t have to sacrifice flavor if you go for the elk burger at House of Brews. Not only does it taste better than beef, it’s significantly lower in fat and higher in protein, meaning you can indulge and still look good in that swimsuit. Buffalo wings and beer are a match made in heaven, and a messy one at that. Thankfully, the Buffalo wontons at this Cherry Hill institution satisfy that craving— without the wet-naps—filling perfectly fried wrappers with a creamy blend of spicy chicken and Boursin cheese, served along- side a sriracha blue cheese dip- ping sauce. You may say if you’ve had one pig in a blanket, you’ve had them all. We think the ones at this neighborhood pub may change your mind. Full-size, all beef hot dogs are wrapped in flaky puff pastry and cut up into shareable pieces. When dunked into the stone ground mustard dipping sauce, this classic American appetizer is made new again. You can’t help but get hit with a bit of nostalgia when you walk into this market in the heart of Merchantville’s downtown. From the smiling employees to the helpful butchers—or meat gurus as they are called—this market has everything you need, including locally sourced meat, produce and coffee, and home-cooked freezer meals that give grandma a run for her money. We like to think we’re never too old for a milkshake, but we prefer them a little more refined at our age. Zinburger delivers on the high-caliber ingredients, like fresh whipped cream, Ghirardelli chocolate, brown sugar caramel and espresso bean. When the server brings it to your table, we guarantee you’ll light up like a little kid. Owners Josh and Colleen Lawler’s imaginative menu is all about locally sourced products, and what’s more local than a soft pretzel? Served with three dipping options—cheese fondue, hot mustard and bacon marmalade— it’s our favorite item to share before the main course arrives. This trendy spot at Voorhees Town Center has a wide selection of specialty drinks perfect for happy hour or to wind down after a meal. The mango martini and raspberry mojito are just two examples that deserve your attention. Escape to Italy with a scoop—or two, or three—of this creamy, dreamy gelato, crafted by an Italian company and scooped to order on Kings Highway, featuring flavors like Italian spumoni, straccaitella, dulce de leche and tiramisu among their regulars. These aren’t your typical skimpy bar wings with a run-of-the-mill hot sauce coating. Here, the sizable pieces of chicken have a crispy exterior and come with your choice of a bevy of scintillating sauces like the chipotle blue cheese offering or our absolute favorite, spicy ranch. Large, meaty duck legs are deep fried until crispy and coated in a maple soy glaze, then sprinkled with toasted sesame seeds and served with diced red onions and Serrano chiles over an herb salad loaded with mint and cilantro. The glaze is sweet and salty, and the meat remains tender under a crispy exterior. This Westmont pizzeria does more than pizza and to be perfectly honest, their paninis deserve just as much praise. With seven menu options to choose from, their paninis are all made with crispy, artisan bread baked right inside their house coal-fired oven. Fillings that melt in your mouth range from braised short ribs and truffled mayo, melted fresh mozzarella with oven-dried tomatoes, or pulled pork and rosemary ham with pickled zucchini and Asiago cheese. There are few things in life better than waking up in the morning to a box of fresh doughnuts from Pisker’s. Jelly and cream-filled are obvious winners, but even a simple glazed is a little taste of heaven. Owner Dan Marino (not that Dan Marino) offers 19 different creative and mouthwatering varieties of stromboli, including new menu additions meatball Parm and steak and potato. But he always finds the end zone with his original version, which layers pepperoni, ham and capicola over mozzarella and is so massive you’re sure to have leftovers. Originally started in Arkansas and a favorite spot of President Bill Clinton’s, Whole Hog’s award-winning ribs, pulled pork and beef brisket are now available at two South Jersey locations. And who knows, come January they might make their way back to the White House. It’s hard to pick a favorite dish at this family-run restaurant, where country-style Italian food runs the gamut. Aside from their selection of tender meats and fresh seafood entrées, we’re partial to the small plates like the Spiedini, homemade garlic bread stuffed with fresh mozzarella cheese and baked for an added crunch—just how nonna made it. The owner here says that some customers travel from as far as Maryland and New York to sample her airy pockets of perfection. Thankfully our drive is much shorter so we can visit as often as we like—and we like to visit often. Vanilla, chocolate and pistachio are the calling cards, but the banana and coconut are musts when available and seasonal choices like strawberry and pumpkin are worthy of attention as well. Forget everything you know about chicken pot pie and dive into Clancy’s renowned version, which comes in a large bowl and is smothered with lightly browned mashed potatoes. This dish goes above and beyond typical pub fare. A third-generation family business that started in Philadelphia in 1938, Meloni’s not only has the selection and quality of beef, sausage and chicken cutlets that you expect from a butcher shop—they also specialize in oven-ready, homemade meals for families on the go. A classic dish gets an upgrade at Medford’s longstanding restaurant and pub. Here, a plate of hot potato fries is dressed with duck confit and melted mozzarella cheese curds, while a demi glace is drizzled atop making this plate all the more savory. When you walk into this family- run farm market, it’s hard to keep your taste buds calm—especially in the bakery. There, you’ll find their well-known apple cider doughnuts, fresh baked muffins, rolls and breads and seasonal pies including their stellar apple variety. Russo’s sweet and fresh apples are baked with a hint of cinnamon in a flaky crust and keeps us coming back for more. Ask anyone in line (there will be one) and it’s easy to see why Sharky’s is so popular. Sure, you’ll find the go-to everything bagel here as well as other enticing flavors like jalapeño cheddar and honey wheat. But where else are you going to get a bacon, egg and cheese on a bacon, egg and cheese bagel? See you in line. Located right off Main Street, this small-batch roastery is family-owned and a haven for all coffee lovers. The staff is knowledgeable about their beans—with 10-15 varieties rotating seasonally—and can personally suggest the best brew for each palate, whether you’re looking for a light or medium roast, a bitter taste, or a cup full of flavor. You know what’s better than a really good cookie? Two of them sandwiched together with a tan- talizing filling. Think red velvet cookies stuffed with cream cheese icing or snickerdoodles with a maple buttercream. You’ll never know what variety may pop up in the dessert case, but it’s a sure bet that you’ll want to devour it. Healthy, fast food is hard to come by, but at B.Good, it comes by the bushels—especially their Power Bowl. It’s full of kale, sesame car- rots, Brussels sprouts, crunchy chickpeas, pepitas and a fried egg all dressed up with a tomato vinaigrette served over organic quinoa or a super-grain mix. Plus, know- ing your lunch is locally sourced —including from their home garden located right outside the storefront—makes it taste that much better. This ricotta and honey jar may be listed on the small plates section of Treno’s menu, but it’s plenty big on flavor. Silky ricotta cheese is the perfect complement to the sticky sweet honey and chopped walnuts when scooped onto a toasted crostini. For our money, we’ll top our toast with this over bruschetta any day of the week. This tiny spot just off Pitman’s main drag offers BYOB service, as in build your own burrito. Start with your choice of chicken, steak, seitan or vegan protein, add your favorite toppings and finish with your choice of a cliantro-lime or smoked salsa. Extras like chipotle ranch sauce or a honey ginger sriracha only enhance the taste. Be warned these burritos are massive and heavy as a brick, so, you know, pace yourself if you can. Angelo’s specialty thin Sicilian pizza is loaded with fresh garlic, mozzarella and provolone cheese, then topped with pizza sauce and cut into square bites. The crust is soft and fluffy like a traditional Sicilian without being too bready, and the fresh ingredients make every bite pop. Popular with locals and passersby alike, this homemade ice cream stand scoops up all the familiar favorites along with some flavors for the more adventurous in your brood. Of course, judging by the crowds some nights many of you already know of this place. Please try and save us some Mississippi Mud Pie, we’re on our way. Beloved for having some of the best pizza anywhere, let alone South Jersey, this institution has caught our eye for another menu item—their homemade ravioli. Created by owner Vince Tacconelli’s son (also Vince), the ravioli flavors and sauces rotate. We’ve enjoyed every one we’ve tried, including the roasted corn and ricotta cheese delights in a browned butter sauce, garnished with feta cheese, chopped cherry tomatoes and basil. If your idea of tacos consists of boxed shells from the supermarket and some ground meat with a packet of powder dumped into it, we think it’s time you step out into the light. At La Esperanza you can start off slow with the grilled chicken or steak options and then work your way up to more authentic tastes like grilled pork with chipotle and the too-often overlooked beef tongue. Everything in the Constellation Collection pastry case is hand baked every day, but it’s their rotating selection of muffins that really catch our attention day in and day out. Their locally sourced and seasonal varieties, like strawberry-blueberry, apple peanut butter and chocolate cherry, make each stop in a new and exciting experience. Forget credit card thin, the pies here are more like business card thin, yet still manage to hold the heft of an array of toppings. There are countless options to choose from, but none are better than the Carbonara, which features diced organic potatoes, bacon and a carbonara sauce on top of a crackery crust. Well-known for their cakes, pies and pastries, this bakery also puts forth a rather indulgent chocolate selection. Chef Robert Bennett is a World Chocolate Master, meaning he has showcased his skills against others in competition. Lucky for us, we get to experience the sweet taste of victory. Too often salads are an after- thought, void of any culinary creativity. Which is why we love Marino’s, where quality ingredients help make their offerings anything but ordinary. Their chicken avocado—romaine, grilled chicken, avocado, sharp cheddar, tomato, corn, red onion and crispy tortilla strips—is one of our favorites, while their baby kale and farro with cucumber, feta, egg and dried cranberries is another contender. Just beyond the hustle and bustle surrounding the Cherry Hill Mall is here you’ll find this deli from the folks behind Andreotti’s Catering. Chef Richard Marsh takes his fine dining principles and applies them to a menu of mouthwatering sandwiches, including the tasty house roasted eye round with sharp white cheddar, lettuce, tomato and finished with a horseradish crème for a subtle kick. At Liscio’s, their motto is “It all starts with the bread.” And while their quality loaves can be found at shops throughout the area, we prefer to get our hoagies straight from the source. Just- baked seeded loaves are the foundation for freshly sliced meats and cheeses that help cre- ate sandwiches that are substantial in both size and taste. We’ve long been a fan of owner Joe Gentile’s food cart Not Just Hot Dogs, so we were happy to follow him to his brick and mortar shop where locally made products abound. While his ever-changing menu is appetizing, we can’t get over The Christy—a wink-wink nod to a certain politician who would undoubtedly enjoy this hot dog stuffed inside a sausage and covered with plenty of fixings. Whether hanging out with your buddies for an Eagles game or enjoying dinner with the family, no night at PJ’s is complete without an order of Famous Fries. The crinkle- cut fries come with Old Bay seasoning and a side of melted American cheese and are great as a side for your sandwich or as a stand-alone snack. The first time we stepped inside Kid Rip’s and saw something called avocado fries on the menu we thought it was a misprint. Intrigued, we asked for an order. Then another. Creamy avocado is breaded and lightly fried resulting in a tantalizing appetizer that makes us wonder why we haven’t seen more of this before. Medford’s Main Street has seen a dining renaissance, thanks in part to this stand-out Italian eatery. The constantly changing menu coming out of Kevin Maher’s kitchen is authentic and high quality, with handcrafted pastas, cheeses and desserts among many of the impressive ingredients used to create beautifully executed food. The lunch menu at Joe’s goes far beyond Chinese classics like General Tso’s, including Szechuan dishes and their specialty duck in the mix for plenty of options. Each lunch comes with your choice of soup, spring or duck roll and rice, making or a full meal that gives you your money’s worth. While we’ll never turn down a cherry water ice, we love that we can branch out a little here with some of their more unique flavors like cannoli and chocolate amaretto, smooth in texture and wonderfully vibrant with flavor. They may not have invented water ice but they are doing their part to perfect it. The sandwiches and original hoagies at Phil’s are certainly enticing, but don’t overlook their clam chowder. Only available at certain times in the fall, winter and spring, this variety is super hearty, with big, meaty chunks of clam in a thick and flavorful white cream base. When looking for a place to catch up with a few friends and a few great beers, look no further than Double Nickel. The brewery’s massive tasting room extends well beyond their wrap around bar, with an upstairs area that’s perfect for private events or large parties. Owner and pastry chef Josue Santiago Negron has built a career out of delicate and intricate pastries, working in elite kitchens in the city for years. Now he’s brought that skill into his own kitchen, with gourmet desserts, cakes, cookies, breads and pastries that are almost too beautiful to eat ... almost. It’s hard to pick a favorite slice of the house-made cheesecakes at Val’s, as each one seems better than the last. Each massive piece features a creamy, sweet base, finished with seasonal selections and rich combinations like raspberry- chocolate, brownie explosion and apple streusel. These pancakes aren’t just known for their massive size, but also for the massive selection. There are over a dozen varieties, ranging from their regular “Bettys” to a vegan option, peanut butter and chocolate chip, even pancakes stuffed with bacon, all served with a dousing of powdered sugar and syrup on the side. For years Chef Nunzio Patruno and his mouthwatering menu has been an anchor on Collingswood’s restaurant row along Haddon Avenue, and for good reason. The high-quality ingredients, expert preparation and lively atmosphere are only matched by the attentive servers who make each visit one to enjoy. Owner and artist Toni Walton has come up the ranks in cake design, including time as a cake designer for the famous Carlo’s Bakery in Hoboken (you can see her on some of the earliest episodes of Cake Boss). Walton’s cakes not only look gorgeous, her original and unique flavors—like champagne, white chocolate and salted caramel, blueberry velvet and cinnamon dulce—will be the talk of your next party. Tiffin may still be relatively new to South Jersey, but the name speaks for itself in the area, as it has be- come known for fantastic curry dishes across the bridge for years. Whether you’re looking for vegetarian options like their many paneer curries or going for hearty meat stews, there’s something cooking for everyone. The PFD is one of those sandwiches that you think about from the time you finish it until the time you’re holding it in your hands again. Breaded cutlets are topped with fresh mozzarella, fried artichokes, prosciutto, arugula, pesto and finished with a balsamic glaze. We dare you to say you’re not hungry right now. The stuffed French toast at Sabrina’s is more like a showpiece. That’s because the slices of super thick Challah toast, piled a mile high with a sweet cream cheese filling and bananas, then finished with vanilla maple syrup and powdered sugar, always manages to turn the heads of everyone in the restaurant. Between the drink and food deals and the laid-back bar area, Distrito’s happy hour offerings are the best way to end a work day. Take your pick of Mexican beer and margarita specials—with flavors changing regularly—and taco, guacamole and appetizer mark- downs to craft a sunset meal that’s effortless and affordable. For the younger fashionistas, or just the young at heart, South Moon Under offers stylish, casual apparel as well as swimsuits, shoes, jewelry and a bevy of accessories. Their friendly and knowledgeable sales associates will happily bustle around to make sure you leave with everything you need. When you need something special for that someone special there’s almost no going wrong at Fond Memories. With an array of brands of handbags like Vera Bradley and Brighton, or jewelry from Pandora, Alex & Ani, John Medeiros and more, the choice may be tough to make, but is guaranteed to put a smile on her face. Despite its name, this Collingswood mainstay is anything but clutter. The shop is full of unusual artifacts and rare vintage pieces that are either handmade, re-imaged or found, and will fit any personality that walks through its doors. Here, you’ll find old books and cameras, glass and wooden figurines, rare pottery, dishware and unique jewelry in almost every corner. Plus, each visit is rarely the same. This family-owned boutique offers some of the finest clothing, handbags and accessories by renowned designers. It’s easily a one-stop shop, but the shoe selection alone is worth a visit. Brands like Ted Baker, Vince Camuto, Cole Haan, Michael Kors and Stuart Weitzman are sure to put a spring in your step. Not your typical mall store chain, Erdon offers a unique mix of European, Japanese and American designers in a relaxed gallery atmosphere. Owner Donna Sandos and her son Eric carefully curate the selection of clothing and accessories from designers like Sofie D’hoore and Ivan Grundahl, among others. This independent neighbor- hood bike shop stands out thanks to a knowledgeable and experienced staff—not to mention friendly—that simply loves bicycles. Whether shopping for some new wheels for the little ones or getting a repair on your trusted road bike, the folks at Mr. Bill’s will make sure you find what you need even when you don’t know exactly what you’re looking for. A vast selection of high- end jewelry, including statement pieces from all the top brands, makes Jay Roberts the jeweler we turn to when the occasion calls for something extra. And when you just can’t seem to find that special piece, they’ll custom design one for you, giving you a bit of exclusivity to go with that elegance. When we think neck- laces we think Morton and Rudolph. Their selection ranges from simple and sophisticated to “bling” with a statement. Whatever our outfit calls for, we know we will find the perfect pendant or sparkling diamond-encrusted piece here. When looking for the names we love in designer jewelry, we always go to JG Kronenberger. With collections from names like Chrysalis and Gabriel & Co. to name a few, it’s easy to fall in love with the array of specialized bracelets, watches, earrings and more. Continuing a family business that started in 1929, the owners of Haddonfield Fine Jewelers provide the selection and expertise that you just can’t find at the mall. They’ll help you choose a unique engagement ring and wedding band for that special someone, with options from Stuller, ASBA and more. From the outside, Total Wine looks like another unassuming liquor store wedged into a strip mall shopping center. But once you explore the cavernous aisles you begin to realize that this place is something special. From the varying vintages to the craft brews, this store has earned its well-deserved reputation for both quantity and quality. International retailer Hugo Boss has just two locations in the state and Cherry Hill is lucky to be one of them. The understated-yet-elegant collections offer everything you need for a perfect formal look, club wear or casual outing. In a world gone digital, Inkwood Books is a beacon of light for those who still love the feel of a book in their hands. A perfect fit for the Haddonfield scene, the store connects with the community through hosting book club meetings, signings and other events. Here, books are celebrated, treasured and recommended, doing true justice to bookworm culture. There’s something special about finding the perfect dress for your wedding day, and the staff at Bridal Garden is dedicated to making the search a joyous one. With countless gowns to choose from and special trunk show events throughout the year, you’re bound to find the one. The boutique also carries bridesmaids and mother-of-the bride dresses and does in-house alterations. Frame & Art owner Jung Park speaks softly but his pictures are worth a thousand words. His quality craftsmanship brings each poster, print and more to life thanks to a keen eye for the details, whether that means choosing the right frame for the job or finding the perfect matting to make your picture pop. The staff here will help you find the sneaks that are right for your style of running and outfit you in the latest technologically advanced clothing. Their “Fitlosophy” is to make sure your running gear is custom-fitted to your specifications to help optimize results, adding a personal touch not often found in the retail athletic business. As the largest independent toy store in South Jersey, there’s so much to love about the 3,500-square-foot Toy Market. Shelves upon shelves of toys, puzzles and games fill the store, marking it as our children’s favorite place to find items that are both fun and educational. For this generation of socially and environmentally conscious parents, The Nesting House offers the perfect selection of gifts that are responsibly made and not commonly found at large baby retailers. They have a wide variety of organic burp cloths, Egyptian cotton clothing, all-natural baby wash and lotions, as well as sustainable toys to get baby off to an Earth-friendly start. There isn’t an occasion this local flower shop doesn’t curate a flower arrangement for and being on the receiving end of one makes it all the more special. While the shop’s floral experts bring artistry to every colorful arrangement, shoppers can also customize their very own bouquet. Whether it’s small or grand, there’s no shortage of blooms here. There’s a reason Halo House is considered a resort for your pets, and we aren’t just referring to the play areas or the wading pool complete with fountain. This doggie daycare comes complete with shuttle services, gourmet treats and Woof Cams so you can watch them from your smartphone. Our furry four-legged family members are much more than just pets to us. At Ahead of the Pack, they care about our cats and dogs just as much as we do and they have the toys and supplies to prove it, not to mention a variety of grooming services to properly pamper them. With over 10 options to choose from whether we are feeling a quick 30-minute facial or a long relaxing 90-minute session, a facial at Toppers is more than an indulgence, it’s a necessity. At award-winning Martino Cartier Salon, clients don’t just walk out looking good, they feel good, too. Whether you want single-process color or highlights, the hair coloring experts at this salon treat it like an art form, with a result that not only brings out every feature on your face but your personality as well. Nothing says “mini vacation” like a day at the spa, and for that we go to In the Village. Their “A Mini Day Away” package features a massage or facial, brow design, a mani-pedi and light refreshments. Treating yourself never felt so good. Kevin Gatto’s luxury salon goes beyond just a blow dry to create a blowout experience that is hard to forget. Their Express Blowout package includes a relaxing wash and blow dry, but also comes complete with a keratin treatment that leaves your hair silky and shiny long after your visit. More than just hair styling and nails, Studio Ten employs a team of talented makeup artists who can help you achieve exactly what you want for your special event. From a classic, simple look to something more bold and daring, these artists know just what it takes with each individual face. When looking for a mani- cure that lasts, look no fur- ther than the gel options at this spot. Diamond can work with you to mix things up, changing the shape or even adding a sparkle accent. Not only is it creative, but the service is relaxing and truly feels like the perfect pampering experience. Eyebrow waxing is slowly becoming a thing of the past as brow threading services are gaining popularity. Instead of hitting up a mall kiosk where privacy isn’t an option, Dharma Karma offers exceptional eyebrow sculpting in a unique spa setting, and your newly shaped brows can last up to two weeks. This Victorian-style, full-service salon and spa provides upscale hair, nail and spa services in a warm and friendly atmosphere. Their estheticians are experts in high-quality waxing services, whether you need effortlessly smooth legs, an attractive bikini line, or perfectly shaped eyebrows. The stylists at this local salon are certified in the Ouidad method of “Carving and Slicing,” a curl-specific technique that removes the bulk that causes “pyramids” and enhances your natural curl pattern. Forget the flat iron and embrace naturally beautiful curly hair. The design of hair is an art and while that may be true, Christopher Moore gives it heart. Christopher Moore is one of this area’s top Master Stylists. With more than 20 years of experience, he is known for his cut, style and color techniques. He and his team believe in getting to know their clients so they can craft a hair style to suit your personal style. While the experts here are well-versed in the latest trends in hair, skin and make-up, their massage services are truly top of the line. From traditional options like deep tissue, hot stone and aromatherapy to specialized massages for TMJ, Fibromyalgia and Carpal Tunnel, you’re sure to leave feeling relaxed and rejuvenated. Rizzieri’s barber shop is tucked into its own private room of their new and impressive salon space, with old school barber chairs and a relaxed atmosphere. And their ser- vices go beyond just a haircut, with beard detailing, ear and nose waxing, facials and a classic straight razor shave also available. There’s an option for everyone at this small and intimate airbrush studio, ranging from full body spray tans to just your legs and face, even bridal packages and group rates for those looking for a day of pampering. No matter what you choose, you’ll work with a trained and experienced spray tan technician, who will craft a look that’s completely original and just for you. When we want to make our bodies feel good, we choose the Original Hot Yoga Center as our go-to spot to sweat. The hot Bikram yoga is a remedy for keeping us fit, healthy and ageless by de-toxing and de-stressing our bodies every time we step on our mats. At this Pilates studio, we feel like we are an important part of the class and not just another face in the crowd. Group classes are no bigger than four members and mat classes are limited to six. If that doesn’t reel you in, maybe one of their seven different classes to choose from will. The Vicious Cycle is where we take our exercise to the next level. These instructors know how to challenge us with high-intensity workouts that we love while keeping it fun. All we can say is: challenge accepted. Smart Bodies prides itself on being the anti-gym, and it’s true they are much more than just a cold room full of weights and cardio equipment. It starts with owner Anthony Capozzoli and his staff of dedicated trainers who will make sure every customized workout session is pinpointed to help you reach your individual goals and never become stagnant thanks to varying exercises that play to your strengths and prey on your weaknesses. With everything from bowling to bumper cars to arcade games, as well as the new and improved Splashplex Water Park, The Funplex has plenty of attractions to keep kids of all ages—and their parents— entertained for the afternoon. Let’s face it, Broadway shows have gotten quite expensive, and Hamilton tickets are sold out for the foreseeable future anyway. For an affordable, entertaining night at the theater, check out this local group that stages about seven plays a year, including musicals, dramas and family shows. Popular for Sweet 16 bashes, bar and bat mitzvahs, athletic team gatherings and more, Groove Lounge offers several different ways to celebrate, including dance, hip-hop and karaoke parties. Canvas Mixers welcomes all ages to learn how to paint alongside friends or loved ones, whether it’s during a private party for a birthday, a girls’ night out soirée or even a bachelorette party. Plus there’s the option of a BYOB for adult classes. With locations in Collingswood and Moorestown, this arts center offers everything from educational classes to rotating exhibitions, but most importantly they are true ambassadors for South Jersey, developing programs designed to connect the local community to the fine arts. From homework assistance and community service projects to various sports and cultural activities, Katz JCC offers kids from kindergarten through eighth grade the chance to unwind after school while providing an engaging atmosphere. They’ll even pick your child up from school so you don’t need to fret about anything except getting out of the office at a reasonable hour. Published (and copyrighted) in South Jersey Magazine, Volume 13, Issue 14 (July, 2016).